Nestled among the towering redwoods of West Sonoma County, the historic landmark town of Occidental, California, provides a wealth of get-away opportunities. You’ll enjoy excellent lodging, shopping, and recreation. 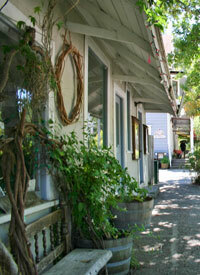 Stroll in this lovely, relaxed setting and browse the town’s unusual shops, boutiques, art galleries, and nurseries. Nearby there are beaches, hiking trails, hands-on farms, wineries, and spas.